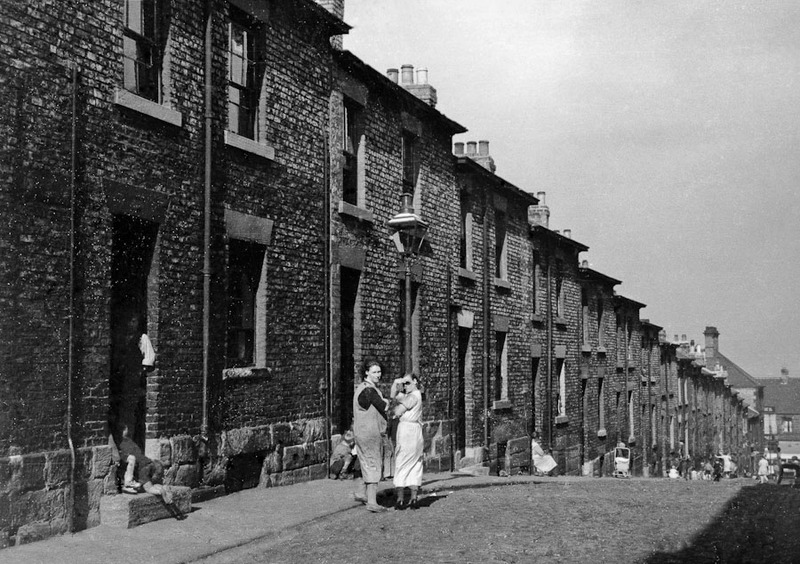 Edwin Smith is one of the great British architectural photographers of the 20th century. Between the publication of English Parish Churches in 1952 and Rome: from its Foundation to the Present in 1971 he established a deceptively simple yet distinctive style of photography that celebrated the architecture of Britain and mainland Europe. To those familiar with this work the inclusion of documentary photographs dating from the 1930s in the main two monographs on Edwin (Edwin Smith – Photographs 1935-1971 (ESP) (1984) and Evocations of Place – The Photography of Edwin Smith (EoP) (2007) and the portfolio in Creative Camera International Year Book 1978 (CC) (1977) may come as a surprise. Study of the Edwin Smith material held at the Royal Institute of British Architects (RIBA) shows that the published pictures are but fraction of a larger body of work made in the 1930s. He was a great architectural photographer; does he stand up to scrutiny as a documentary photographer? ‘Documentary photographer’ is a somewhat slippery term. Much of Smith’s work may be thought of as celebrating architecture, but photographing a building also creates documentary record. 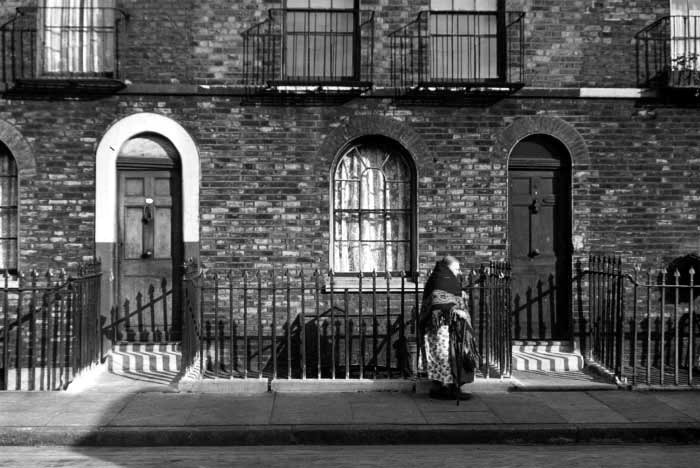 In the case of more vernacular, transient subjects, like ‘The vestry of a parish church, Carlow, Ireland, May 1965’ (ESP pl.128), the photography is as much documentary as architectural. There is an established place for buildings and interiors in practice that is predominantly documentary, such as appeared in Walker Evans’ American Photographs and Let Us Now Praise Famous Men. However, social documentary photography has two key facets: it includes people; and it tells a story, which may often be making a socio-political point. 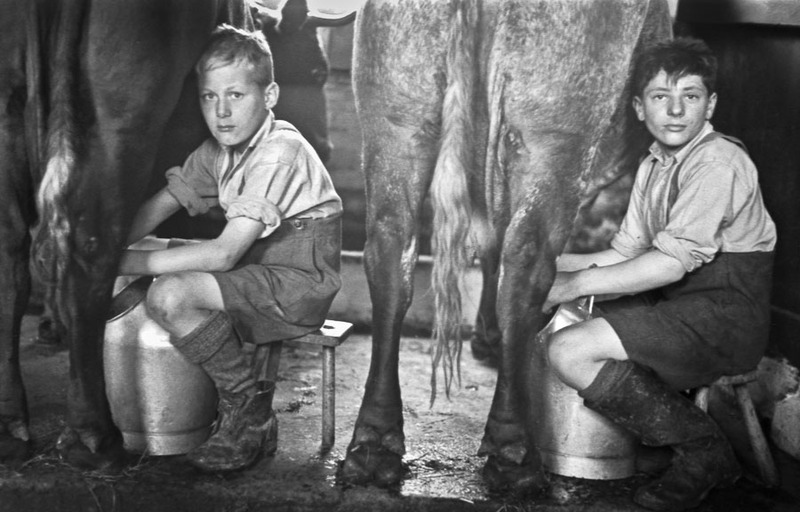 This is photography in a tradition stretching back to Jacob Riss (1849-1914) and Lewis Hine (1874-1940). It is this sense of documentary photography that this article explores. Smith’s photography in the early 1930 was heterogeneous and he was exploring the capabilities of the medium. From the middle of the decade, with the acquisition of 35mm (Contax II) and 2×21/4 square (Tenax) cameras, he produced a body of work in a social documentary mode. From 1935 through to 1938 he captured the setting, the action and life behind the scenes at circuses and fairs around London, e.g. ‘Mitcham Fair, London (1935)’ (EoP p.10), ‘Equestrian Performer, Olympia, London, December 1935’ (ESP pl. 21) and ‘Clowns, Olympia, London (1938)’ (EoP p.36). 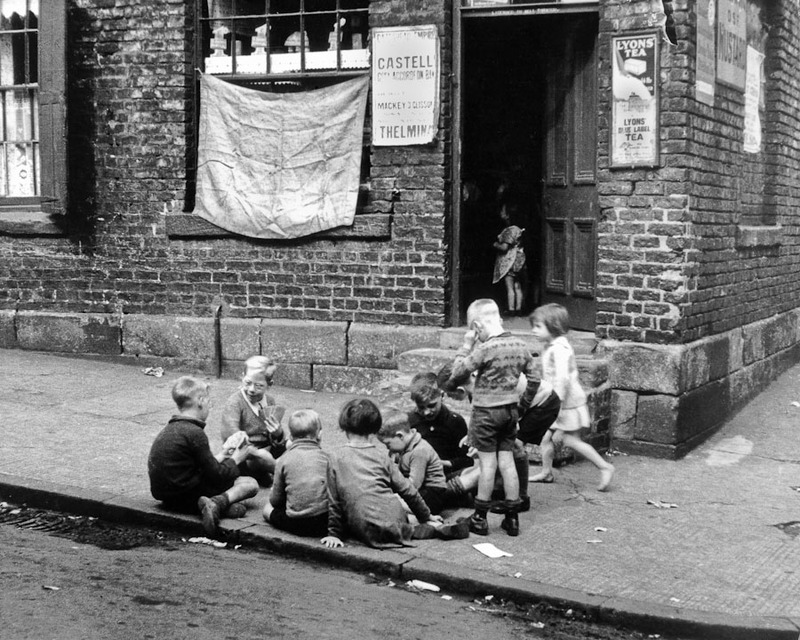 From the same period there are London pubs and street scenes, houses and rural cottage interiors, e.g. ‘In a Bermondsey pub, London, Jubilee Day, 1935’ (ESP pl.39), ‘Somers Town, London; June 1936’ (ESP pl.14) and ‘Cottage Interior, Crewkerne, Somerset 1938’ (CC p.14). The RIBA material includes work on ballet, music halls, night clubs, puppet shows and gypsies on Epsom Downs. 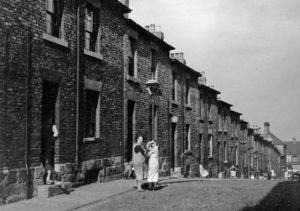 In 1936 Smith was commissioned by Sir Arnold Wilson, who was concerned at the conditions of Geordie miners, to photograph the communities in and around Ashington and Tyneside. According to Olive Cook the photographs ‘were taken in the space of a fortnight’ during August (ESP p.8). The work includes street scenes, docks, collieries and miners and their homes, e.g. ‘Outside the Guildhall, Newcastle’ (ESP pl.45), ‘Quayside, Newcastle’ (EoP p.43), Ashington Colliery, Northumberland’ (EoP p.39), ‘Miner, Ashington Colliery, Northumberland’ (EoP p.38) and ‘Miner’s interior (Mrs Denwood’s) Scotswood-on-Tyne, Northumberland’ (ESP pl. 125). The unpublished material gives a slightly more complete picture including fisherwomen, street games, street scenes, mothers and children, people travelling and families on the beach. There are two further aspects of Edwin’s work from 1935 to 1938 that are important to an assessment of his documentary output. Most well known is recording the vernacular details of buildings and places. 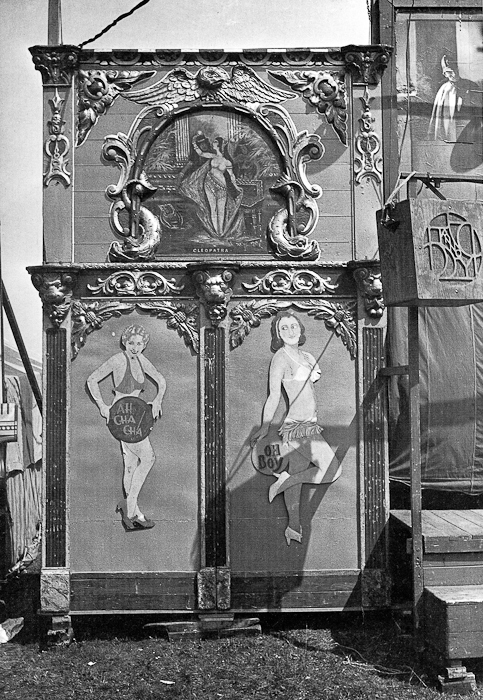 Some of this is linked to the photography of fairs and circuses, e.g. ‘Fairground Booth, Epsom, Surrey’ (ESP pl. 29). Other pictures are gathered from a wider urban environment, e.g. ‘Decanters in the Salisbury, St Martin’s Lane, London’ (ESP pl. 16), ‘Optician, London’ (ESP pl. 18) and ‘”Court Hairdresser”, Dover Street London’ (ESP pl. 38). The RIBA collection also shows that parallel to this there were tentative forays into architectural photography, with pictures of Southampton, Alexandra Palace and Boulogne (1937). Much less well know is his work as a jobbing photographer. 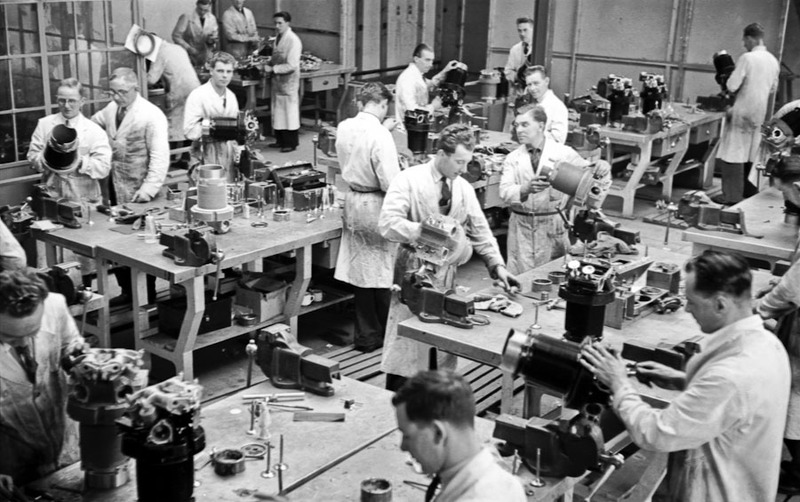 The RIBA collection includes small documentary projects undertaken at the Church Farm Approved School, East Barnet and the Princess Mary Village Homes School, both from June 1937. They are of historical value if nothing else. The monographs acknowledge Smith’s commercial work for Imperial Airways and include one picture ‘Advertising photograph for Imperial Airways’ (1938, EoP p. 33). However, the RIBA collection includes an interesting range of work showing the whole operational gamut of the airline that adds up to a valuable insight into the pioneer days of civil aviation.